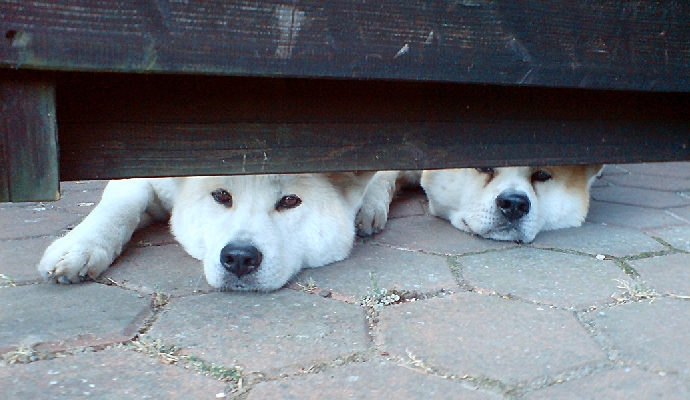 Akita Inu kennel "of Shiroi na Suna"
We are looking forward to your visiting! Harsewinkel is located in the north of the district of Gütersloh, between Gütersloh, Bielefeld, Osnabrück, and Münster in the Münsterland (North Rhine-Westphalia). Our kennel is situatated in the rural area of the town. Despite of the rural area the autobahn is near (about 20 min to the A2 and to the A33), so that our visitors are able to reach us fast and easily. In town you can find several hotels so that even far travelled visitors and potantial buyers of our puppies can be put up for the night nearby. In a judgement from 12. Mai 1998 - 312 O 85/98 - "Haftung für Links" , the county court in Hamburg decided, that you have to take responsibility for the content of all linked pages. To avoid this we distance ourselves from all contents of all linked pages.